If you sometimes struggle with fiddly electronic components you might be interested in a new system which has been created by iv-Robotics to make prototyping and learning electronics even easier and more rewarding. 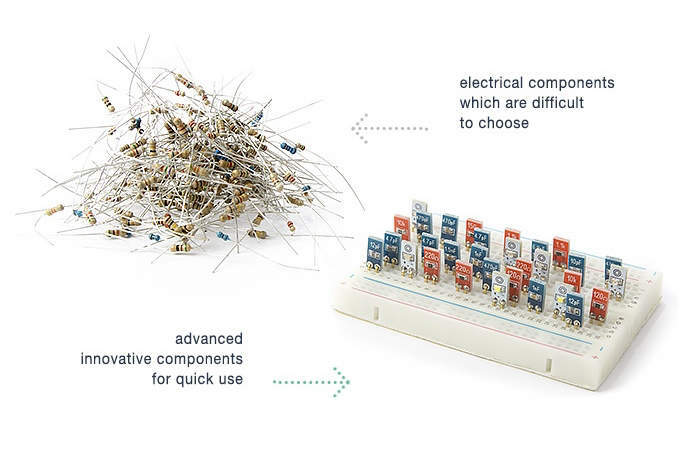 The new form of electronic component make it much easier to construct circuits using electronic components such as capacitors, resistors and LEDs while using a breadboard or similar. 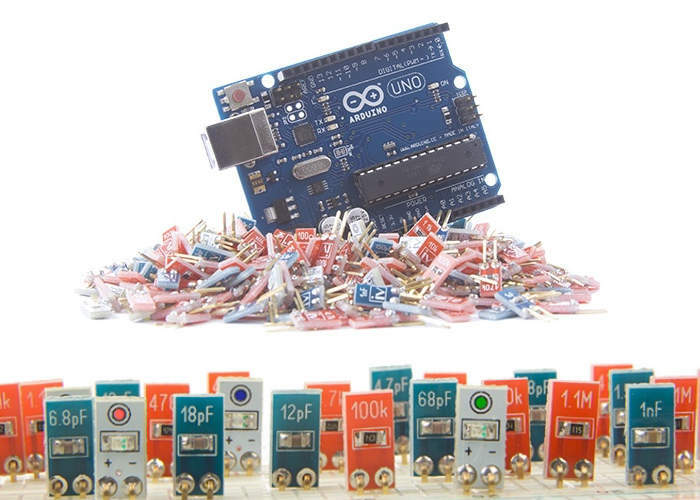 Standard electronic components can be fiddly when working with breadboards and micro-controllers such as the Arduino development boards or similar. Watch the video below to learn more about how these everyday electronic components have now been made easier to handle and use while prototyping projects. iv-Robotics explains a little more about the inspiration behind their unique solution to using fiddly electronic components. We invented, designed, produced and tested a limited batch of the product, which are unique and previously unseen in the history of tech. We spent two months on the testing these elements, and concluded the following: iResistor, iCapacitor and iLed components are ideally suited for all types of microcontrollers (Arduino, Raspberry Pi, ST Nucleo, Teensy, Netduino, Discovery, BeagleBone-Black, Tower System, Xplained etc.) for use with a Breadboard. For more information on the new breadboard electric components jump over to the Kickstarter website for details by following the link below.